Zinnias When I was younger I used to buy small bunches of zinnias from flower stalls on the last day of my working trips to Europe, to bring home as a colourful memento. I don’t suppose you can do that today. 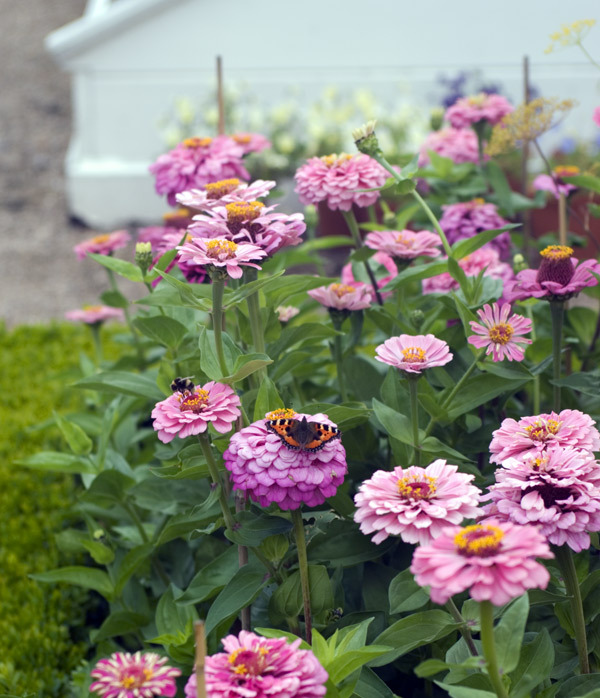 West Dean Gardens nearby always has a fabulous display of zinnias in their cutting garden. Now that I can grow my own I am amazed that such a beautiful flower can be raised so easily from seed. As long as the young plants are given protection from slugs and snails, they thrive in my sandy soil and make a big splash of colour in late autumn (last week it was still late autumn here!). 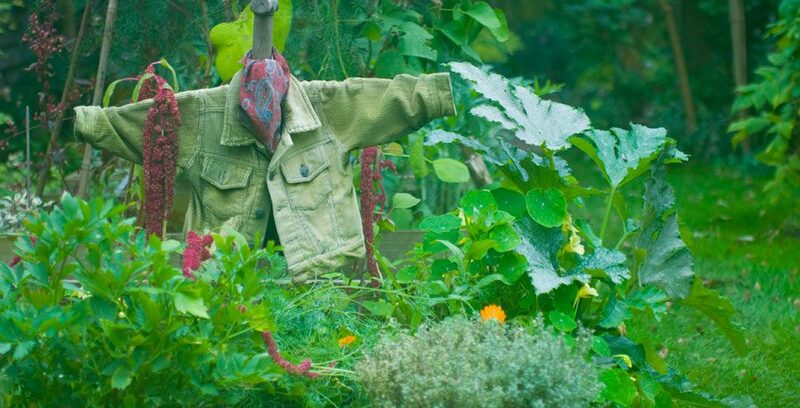 They make a useful and decorative addition to my veg beds too, as they deter white fly. 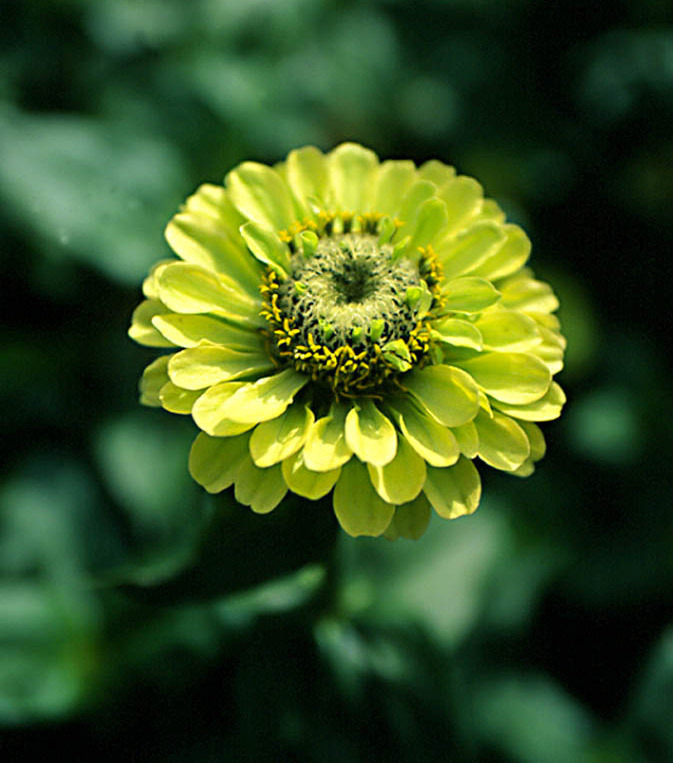 Zinnias come in all sizes and colours. They look best when you restrict your colour palette though. 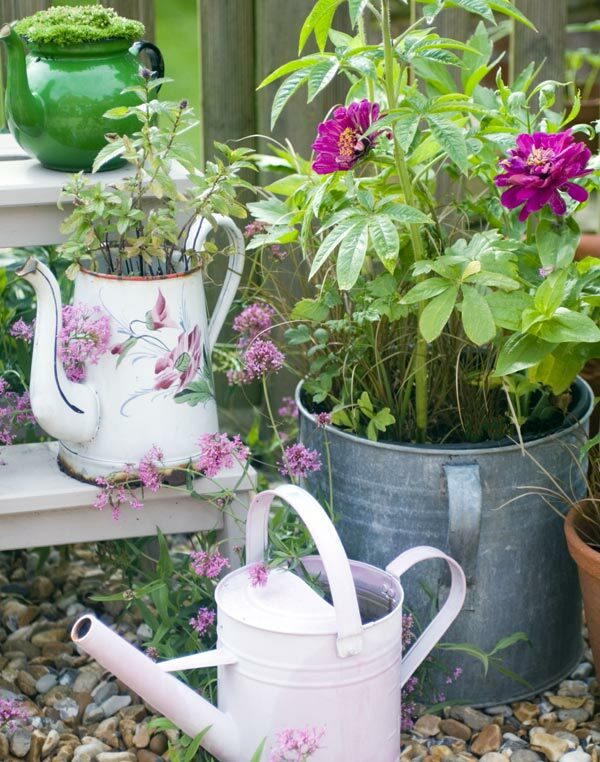 This year my choices were ‘Purple Prince’ and the fabulous pale green ‘Envy’, but who knows what colours I’ll pick for next year?